As a work at home mom, a versatile laptop is an absolute must. 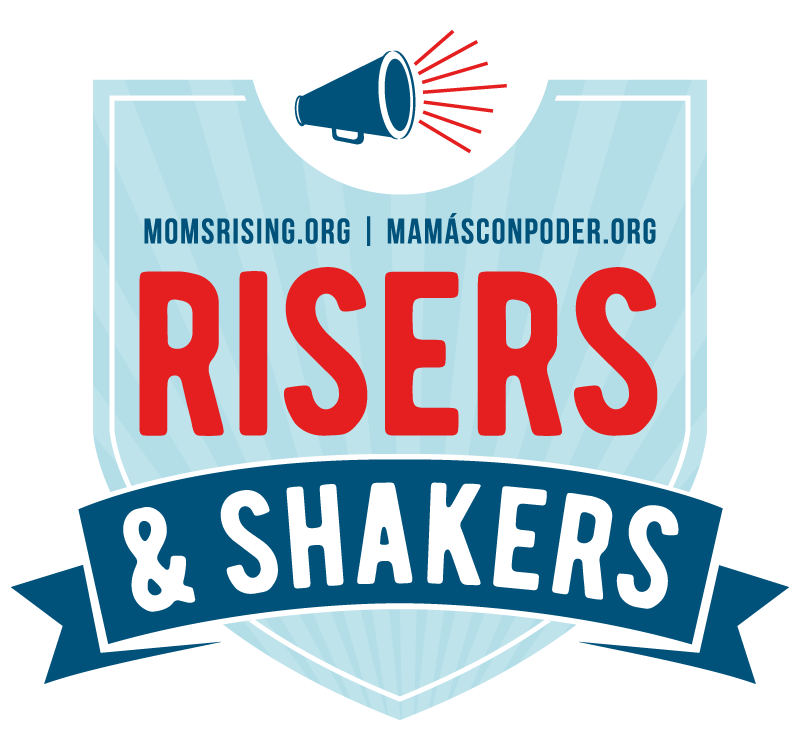 Even though I'm a “work at home” mom, that doesn't mean I'm always at home when I'm working! Since I'm currently shopping around for a new laptop, I had to take a closer look at the new Google Pixelbook. I've owned my current laptop for far too long and it is on its last legs. It's also a pain to travel with because it's big and heavy. It's important for me to have a laptop for working on my businesses whether I'm in my living room, at the park, at a coffee shop, or traveling. 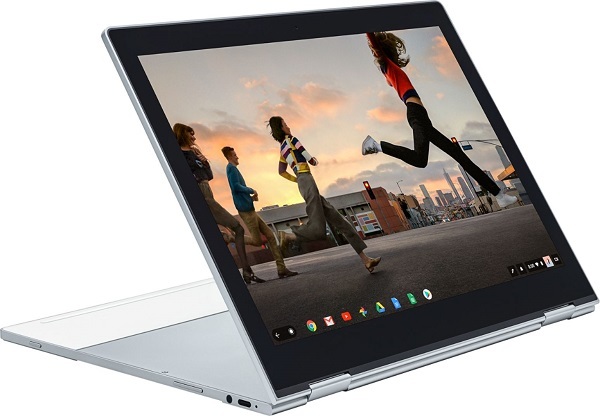 The new Google Pixelbook – the new high performance Chromebook – is what I have my eye on. It's no surprise that I carry a large purse most of the time, so I want a laptop that is easy to slip in my bag no matter where I'm traveling. At just 10.3mm, Pixelbook is Google’s thinnest laptop ever, with a lightweight aluminum construction that enhances portability. I would no longer need a special bag just for my laptop and it wouldn't weigh me down as much. The Pixelbook would easily slip into my bag, allowing me to take it along to PTO meetings and coffee shop meetups. It would also take up less room in my carry-on when flying. I already own a Google Home and a Google Pixel smartphone. It just makes sense to consider upgrading to the Pixelbook, which is the first laptop with the Google Assistant built in. Using Google Assistant does require an internet connection. To organize my life and work, I already utilize Google apps including Google Drive, Docs, Sheets, Slides, Gmail, Photos and more. It's incredibly helpful to have everything I work on seamlessly connected – whether at home on my desktop or when I'm on-the-go with the Pixelbook. With Chrome OS, the Pixelbook software automatically updates the latest security and features in the background. Auto-updates and auto-backup require an internet connection. I'm also interested in the Pixelbook Pen, a smart, responsive stylus which is an accessory that is sold separately. When I attend conferences, I prefer to take handwritten notes rather than typing them. It would be fantastic to use the Pixelbook Pen to take notes as well as use it to draw. There is nothing worse than a slow laptop when you are trying to squeeze in a few minutes of work while out and about. No one wants to spend their precious work time waiting for their computer to boot up or load whatever you're working on. The Pixelbook starts up in under ten seconds and stays fast, so it's ready to go when you are! When I'm working at a coffee shop, I can't always score a seat near an outlet, so battery power is important to me as well. The Pixelbook has a fast-charging, all-day battery that gives you up to ten hours of go from a single charge. Sounds awesome, right? When I look at versatility, I'm not only looking at how much work I can accomplish, but also its usefulness for downtime. All work and no play makes Darcy a dull lady, after all. Not only can I still get some work done while offline, I can also relax with on-or-offline access to movies and TV shows using apps like Google Play Movies and YouTube Red. Yes, you can download your favorites from YouTube Red and Google Play Movies to enjoy even without Wi-Fi! This is fabulous to have when I'm traveling (with or without the kids). These are the reasons I'm looking at upgrading my laptop to the new Google Pixelbook. 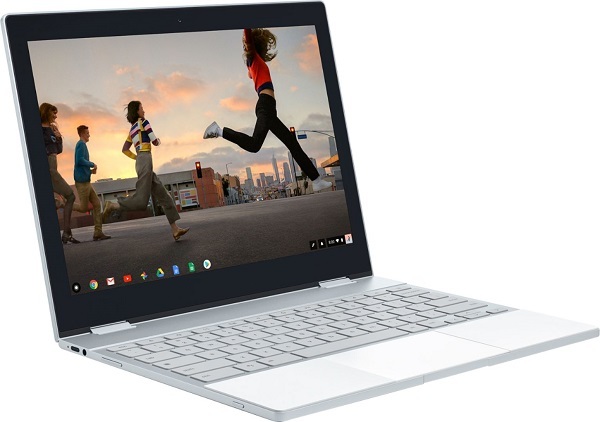 If you are looking to upgrade your laptop, click to learn more about getting the Google Pixelbook at Best Buy and any special sales they may have currently!